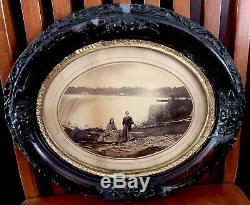 NIAGARA FALLS Original Civil War Era Photo in Frame 1864 Couple on Honeymoon. The picture is mounted on a card, and on the back of the card is the story of whom these people are. It was written in 1957 by Robert Morris Parker MD. 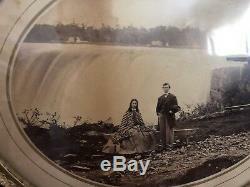 He tells the story of the couple which were married on September 15, 1864 and visited Niagara Falls on their wedding trip, which is when the picture was taken. The man in the picture is the writers Great Uncle. The exact place where the picture is taken on table rock by the Horseshoe Falls, in Canada, no longer exists. It had fallen into the gorge. Please look at all photos. This is quite a RARE FIND for the collector! 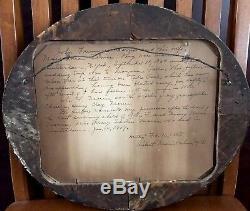 You can own a piece of history! If you have any questions, please feel free to ask! Exactly what is picture is exactly what you will receive. ALL MERCHANDISE comes from a SMOKE FREE, Temperature Controlled Environment. I take pride in making sure your item is packed well. 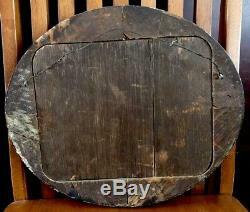 Being a collector myself, I understand the importance of receiving your item in the condition that is described! 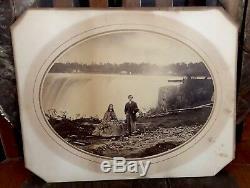 The item "NIAGARA FALLS Original Civil War Era Photo in Frame 1864 Couple on Honeymoon" is in sale since Wednesday, January 30, 2019. This item is in the category "Collectibles\Historical Memorabilia\Fairs, Parks & Architecture\Other Fair & Park Collectibles". 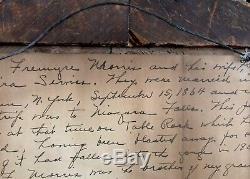 The seller is "timthetoyman1" and is located in Tampa, Florida. This item can be shipped worldwide.